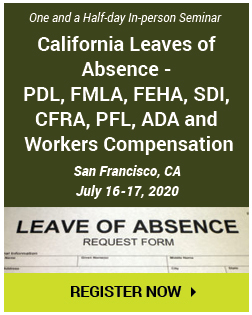 The Complexity and Interplay Among ADAAA, FMLA, and Worker's Comp (WC) - How Do They Work Together, or Not? The webinar training will address ADAAA, FMLA, and Worker’s Comp laws that HR is responsible for upholding. When the laws are not followed, it increases the liability for the organization and interferes with a fair and equitable work environment for employees. 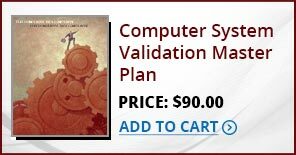 This training program will detail the components of a successful purchasing card program. 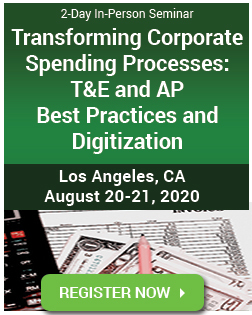 It will also discuss implementing proper purchasing card controls, types of risk including fraud and misuse, auditing techniques, and more. 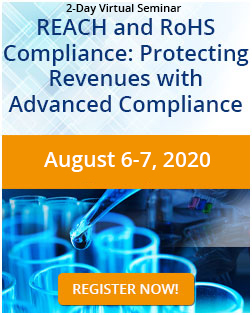 This IRS regulatory compliance training will focus on the rules requiring W-9 documentation and 1099 reporting. 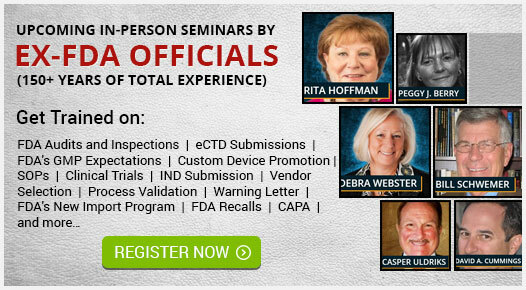 Attendees will learn the best practices to ensure compliance with IRS and avoid B-Notices. Attend this webinar to learn payroll best practices (handling of state taxes, wage and hour law, and garnishments) when an employee lives in one state and works in another, or works in two or more states simultaneously. This Includes determining liability as an employer, reciprocal agreements, resident and nonresident taxation, Form W-4 equivalents, state unemployment insurance, wage and hour law requirements and garnishment withholding. This webinar will help you to build, implement, and maintain strong credit culture. 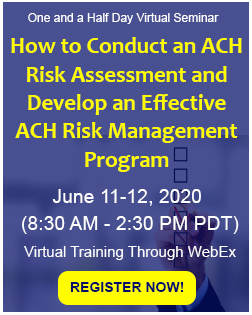 This course offers 14 tools to test and check the strength of the organization’s credit risk management and techniques for remediating and improving credit culture and credit risk management. In this Neonatal Abstinence Syndrome(NAS) Best Practice Management webinar attendees will learn the best Practices, strategies, how to utilize Case Management and multi-disciplinary team approach to manage well in order to ensure the best outcomes for these vulnerable neonates. This webinar on Estimating Reliability Performance of products will show how you can use Accelerated Life Testing methods (ALT) to reduce costs, minimize risks and ensure adequate product performance prior to launch. This mortgage advertising training program will discuss special requirements applicable to HELOC advertisements with introductory and promotional rates and the new TILA/RESPA disclosure required for written estimates of terms or costs. It will also offer best practices for reviewing mortgage advertisements to reduce compliance and UDAAP risks and tips on using the "one-click rule" to advertise mortgage loans on websites and in social media. Attend this webinar to learn the key competencies and responsibilities of today's internal audit management and methods for meeting the requirements of the internal audit profession. Also attendees will learn the aspects of internal audit frameworks and what challenges may arise when trying to implement processes. 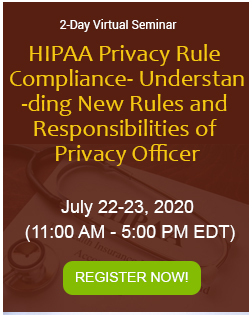 This webinar will prepare participants to build a legislative and regulatory tracking process that monitors regulatory change, measures impact on business operations, and ensures the implementation of appropriate policy, training, and control updates. 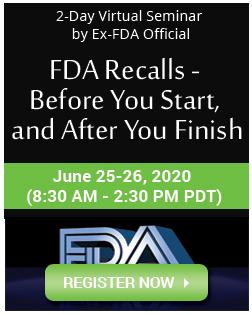 This webinar on supplier controls will provide you the information you need to assure your supplier management program is in compliance with the latest FDA, European and international guidelines requiring a risk-based supplier management program. 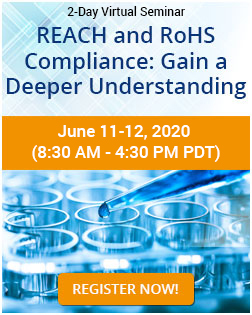 We will look at how to improve your supplier management system to meet both the FDA and ISO expectation while potentially reducing your cost of compliance. 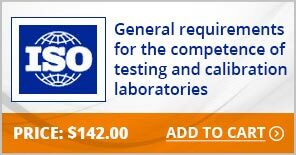 In this webinar you will gain a basic to moderate knowledge of definition, purpose, importance of GDP, General rules of GDP, GDP as applies to laboratory notebook documentation, US Pharmacopeia General Chapter <1029> introduction “Good Documentation Guidelines”, A very brief introduction to European Union (EU) GDP, and finally its enforcement along with some observation samples from FDA. This medical necessity documentation webinar will cover all the key information needed to support your efforts to document and demonstrate Medical Necessity of services. 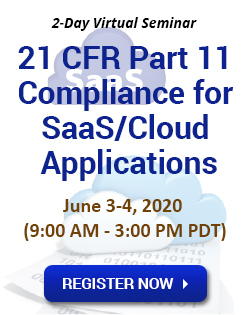 This Excel spreadsheet compliance training will outline the FDA requirements for Excel spreadsheets used in regulated environments and provide guidance on 21 CFR Part 11 validation. 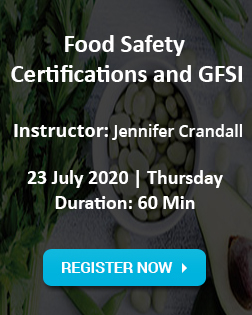 The purpose of this course is to provide attendees with a comprehensive demonstration of the operational risk management best practices in banks and other financial institutions. 3-hr Virtual Workplace Compliance Bootcamp: Compliance Training for Managers/Supervisors: Have Your Leaders Learn what other Managers do not Know! 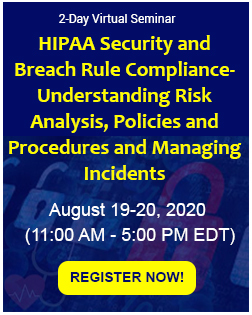 In this 3-hrs HR compliance training attendees will learn mitigate all the compliance risks associated to workplace. 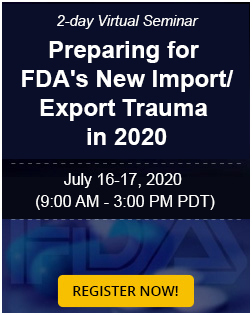 It will cover documentation, 2019 regulations, Family Medical Leave Act (FMLA), Americans with Dis-abilities Act (ADA), Equal Employment Opportunity Commission (EEOC), employee handbook, onboarding process, and tools for performance review. 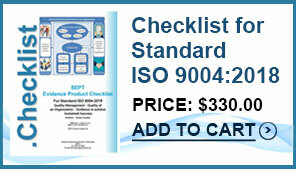 This Compliance Training will save your company over $300,000 in potential fines, violation and court settlements. ComplianceOnline provides comprehensive and cost effective online compliance training solutions for companies and professionals in regulated industries. 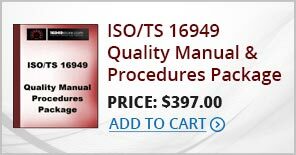 Over the years, it has become trusted source for worldwide professionals seeking online compliance training on corporate governance, risk management, regulatory compliance solutions and quality management. All of our training programs are led by recognized experts and industry veterans with decades of experience in regulatory affairs and issues. 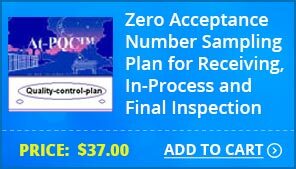 ComplianceOnline offers training programs in various formats, including: live webinars, training recordings and CDs. 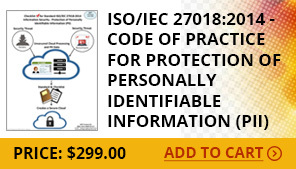 ComplianceOnline’s training delves deep into complex and exhaustive topics across various industries including banking and financial Services, life sciences (medical device, pharma, healthcare, food and more) , high-technology, aerospace and manufacturing industries, energy and utilities industry, cpg and retail industry and cross industry functions such as corporate governance, hr compliance, osha compliance, eh&green compliance, trade and logistics etc. Online training is a very cost-effective way to train a group of employees than other training alternatives. 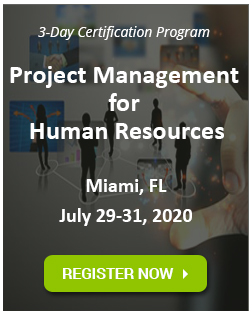 Benefits include Eliminate travel and hotel expenses, Flexible group sizes, Substantial cost savings and increased return on investment, Top notch instructors with an average of 20 years of experience, Customized training content, Certification by NASBA, HRCI, RAPS.